Ostlers is a family run business, which currently has three generations involved. supply the health food market. The history of Ostler Cider Mill. Peter Hartnoll bought the land in Goodleigh in 1989 he planted approx. 4 acres with half standard cider apple trees - he chose Mitchelins, Browns and Debretts, which are a good combination of apple types to make a good cider. It started off as just a Cider Mill, but due to an accident when a lid came off one of the tanks it made vinegar. At this point he was in a wheelchair and taking quite a few painkillers for arthritis. A friend told him that it was a lucky accident because cider vinegar was an old Roman remedy for the complaint, so he started to take the vinegar, in a few weeks he was off his painkillers and shortly after he stopped using his wheelchair! 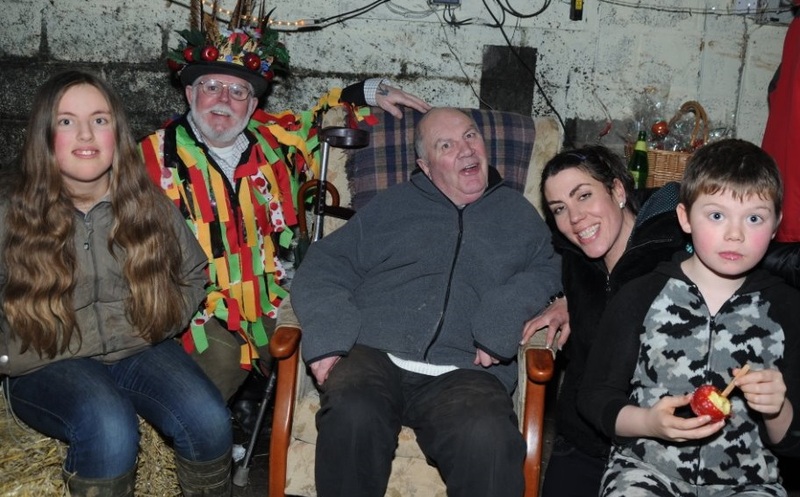 In 2009 running a busy Cider Mill on his own got a little much for Peter and he decided it was time to get help. His daughter, Becci and her 2 children moved over from Wales, to give him a helping hand, she is now a partner with her father and living at the mill, while Peter has moved to Bideford to enjoy a well deserved retirement. Ostlers Cider Mill is completely off-grid, our main source of energy is solar and wood from our orchard and woodland. We have four acres of woodland which we are increasing and replanting. We have received awards at The Houses Of Parlament, London from the Green Apple Organisation for 'Environmental Best Practice'. We have also won a DEBI Environment Business Award 'Made In Devon', as well as being a finalist in the 'Sustainable Ethos' category. We converted Ostlers Cider Mill to Organic with Organic Farmers and Growers in 2014. Ostlers are one of the few orchards where the whole process is done naturally, it is a continual process of tasting and blending, checking how the fermentation is. Ostlers now have a very busy online presence with large volumes being sold through our website, eBay shop and Amazon. We have also wholesaler's that distribute our vinegar throughout the whole of the U.K. In the past years, Ostlers Cider Mill has won ‘Best of Sauces and Accompaniments in 2012’ at “Taste of the West”, along with winning a Gold award in every year since, as well as being a finalist for our category again in 2018. We have put our success in the Cider Vinegar down to an old family recipe and a special blend of Devonshire apples. Over the years we have had many famous chefs and celebrities using our vinegar. Emily Watkins used it in her starter which got through to the final round in the BBC 2 program Great British Menus, The Ethicurean used it in their best selling cookbook, and most recently Liam Gallagher was spotted using it in his daily routine on a BBC documentary. 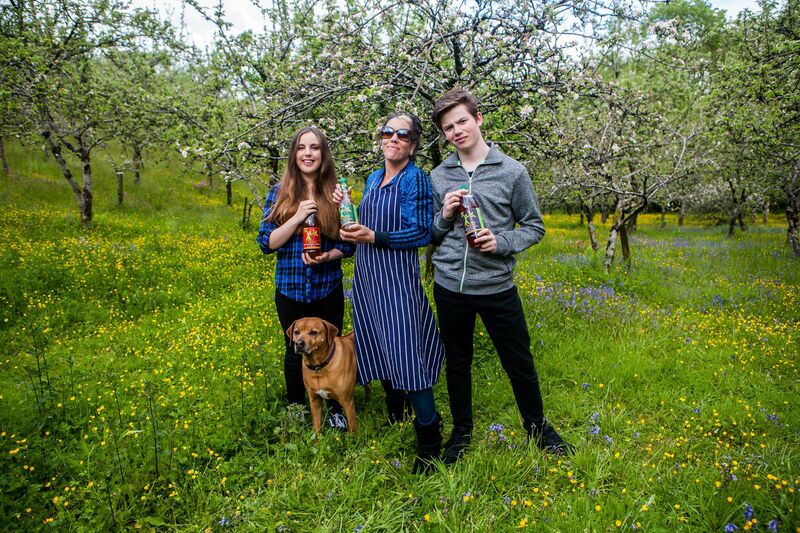 Due to popular demand and a rapidly increasing turnover, we are now focusing on the production side and now have the capacity to produce 200,000 liters of our famous apple cider vinegar. It's upwards and onwards for our apple orchard! For any more details or questions please don’t hesitate to contact us.